The Choir of Somerville College is one of the finest mixed-voice choirs in Oxford. It is led by the Director of Chapel Music Will Dawes with the assistance of the Organ Scholars, and plays a central role in College life. The Choir sings for the Sunday evening service in the college chapel during term, gives regular concerts organised by Somerville Music Society and the Development Office, makes recordings, and tours. Recent recordings have included Duruflé Requiem with internationally acclaimed soloists and a disc for Advent. Tours have been to Italy and the USA. The choir performs the St John Passion (JS Bach) in March every other year, and will next perform this in 2018. 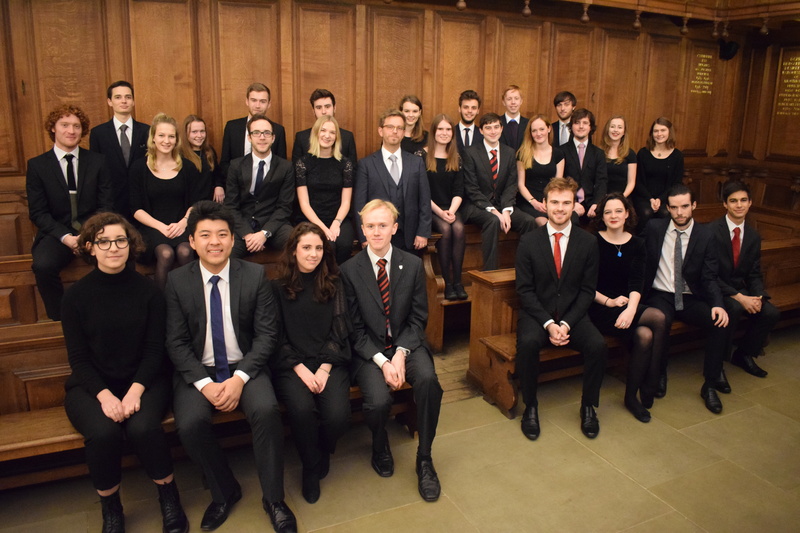 The Choir’s membership comprises Choral Scholars from Somerville, and Choral Exhibitioners (as well as other auditioned singers) from the University community, and several Organ Scholars. Singers interested in joining the Choir should contact Will Dawes to arrange an audition. For more information on the choir’s activities, visit the Somerville Music Society website. Somerville has all sorts of teams, clubs, groups and societies run by and for its students.